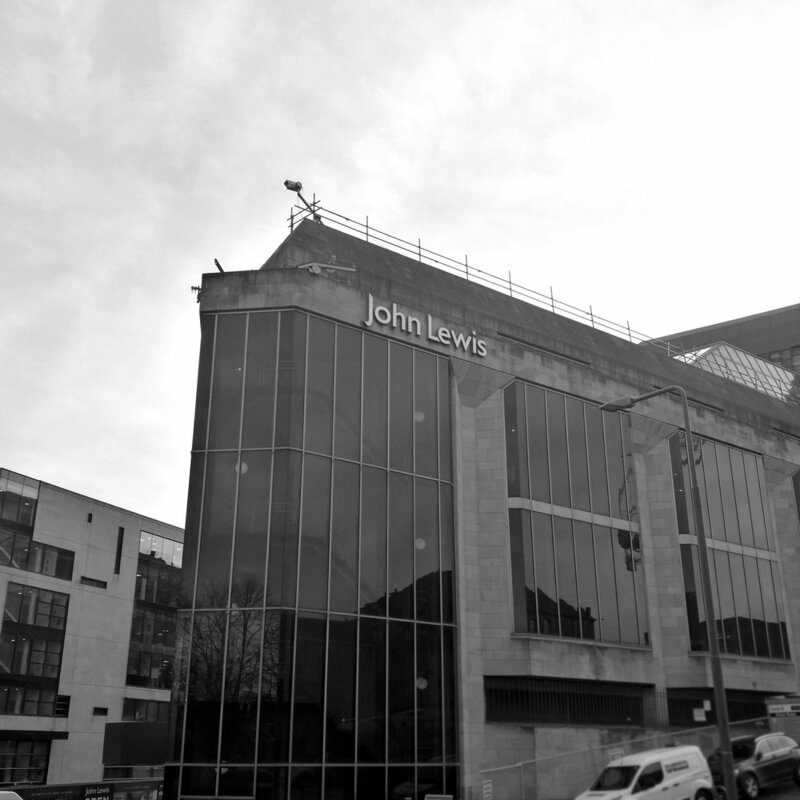 Buttercrumble partnered with John Lewis to celebrate their hotly anticipated 2017 Christmas campaign. 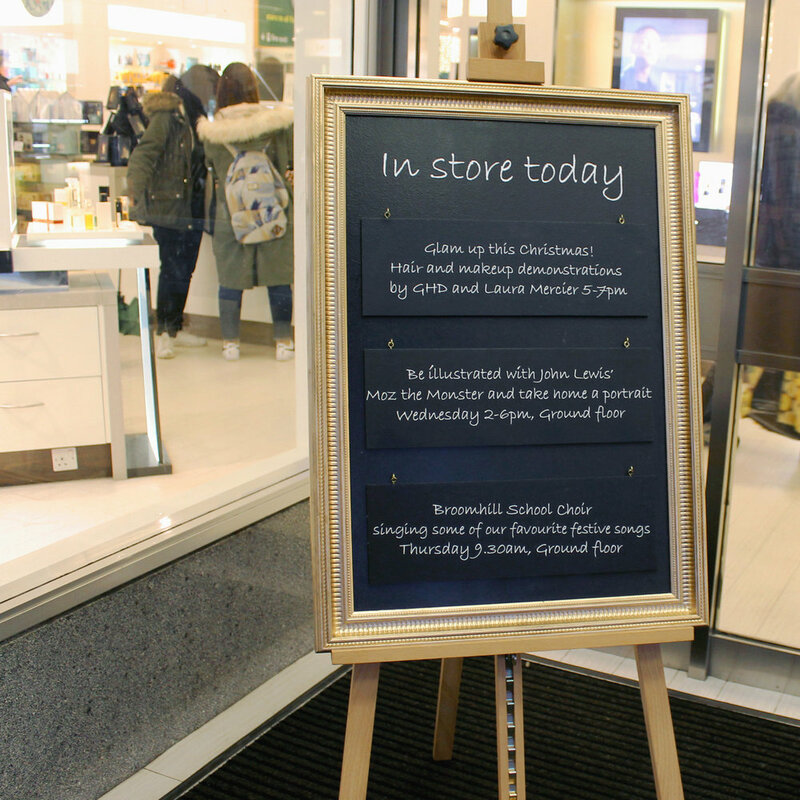 Buttercrumble duo, Abigail and Chloe, introduced festive retail theatre through the power of illustration to 11 stores. 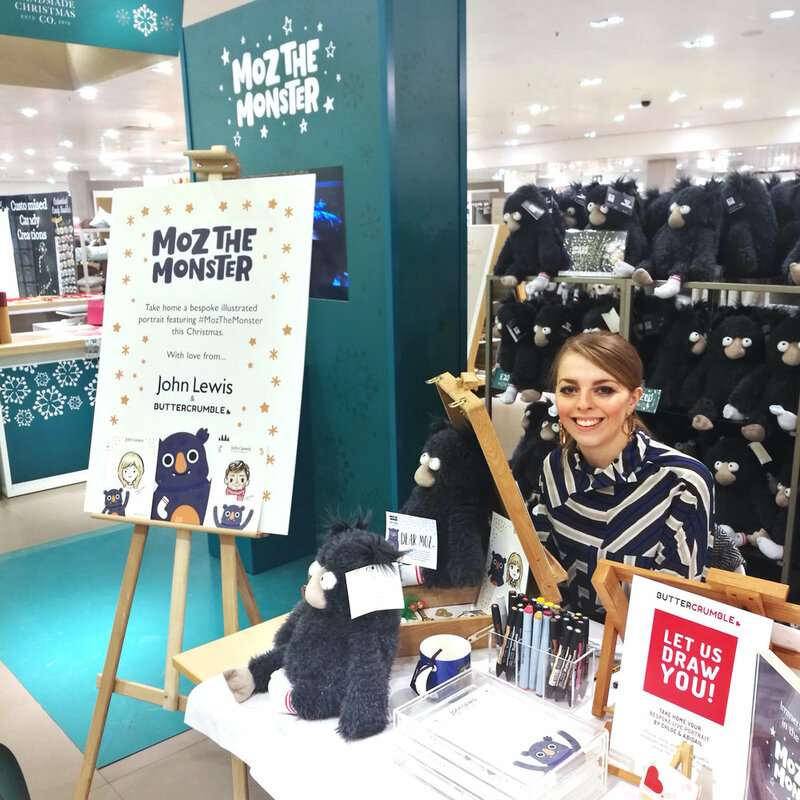 Joyful customers were invited to take a breather from shopping to be surprised with bespoke illustrations that captured them with Moz the Monster. It was a truly unique and interactive experience for all involved! Customers were greeted and invited to select one-of-three specially designed portrait papers by Buttercrumble. Each featured Moz the Monster. Each customer sat with Buttercrumble for 10 minutes whilst being captured as an illustration. Buttercrumble presented the portrait to the customer in a clear gift bag for them to take home and cherish. 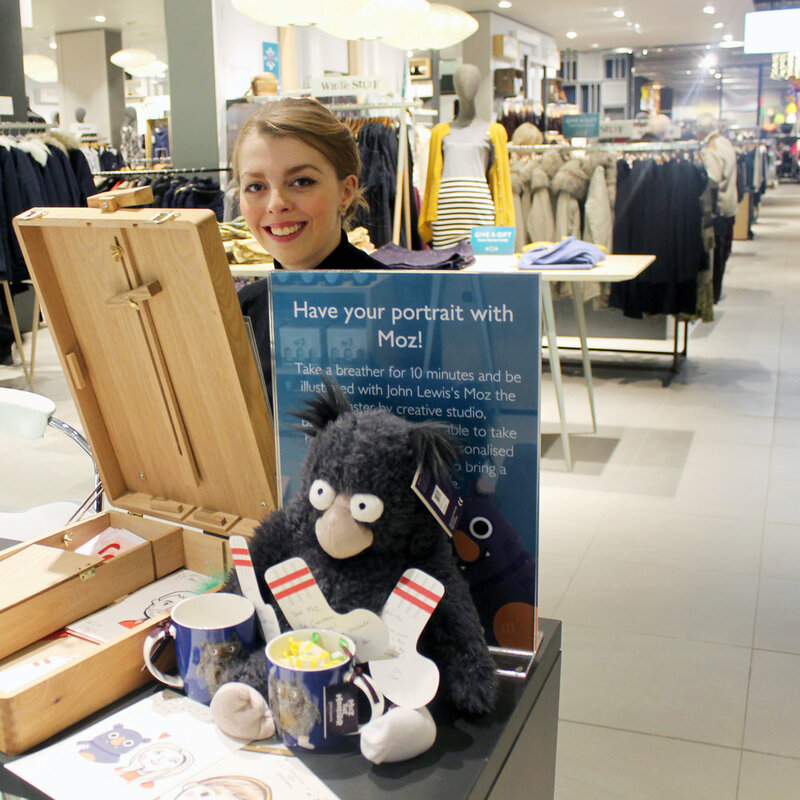 These stylish and bespoke portraits enabled us to engage with the shop's audience. 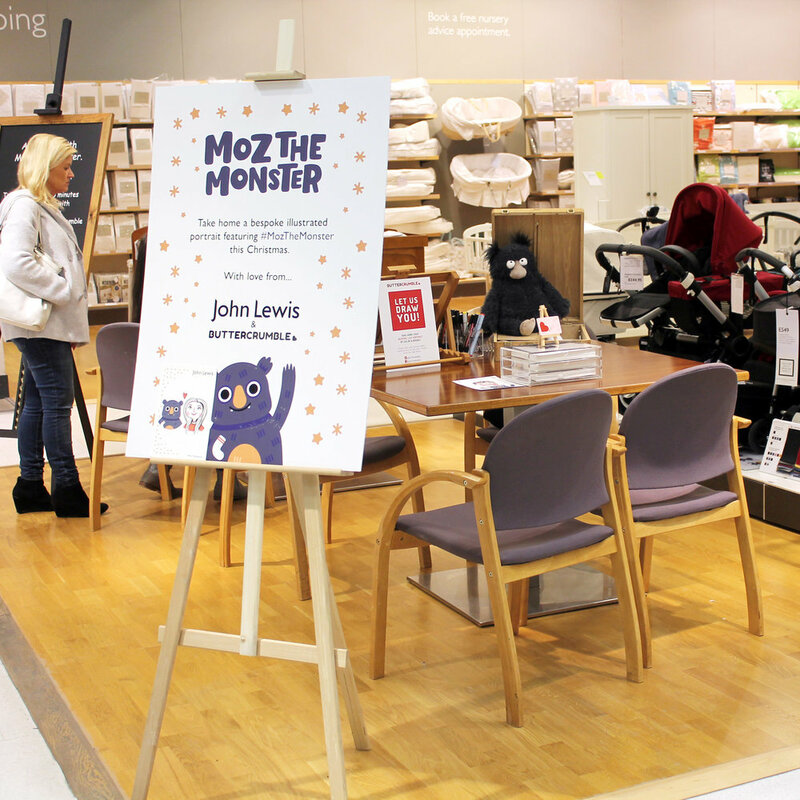 The experience stimulated their appreciation for John Lewis' Moz the Monster campaign, brand values and offerings. 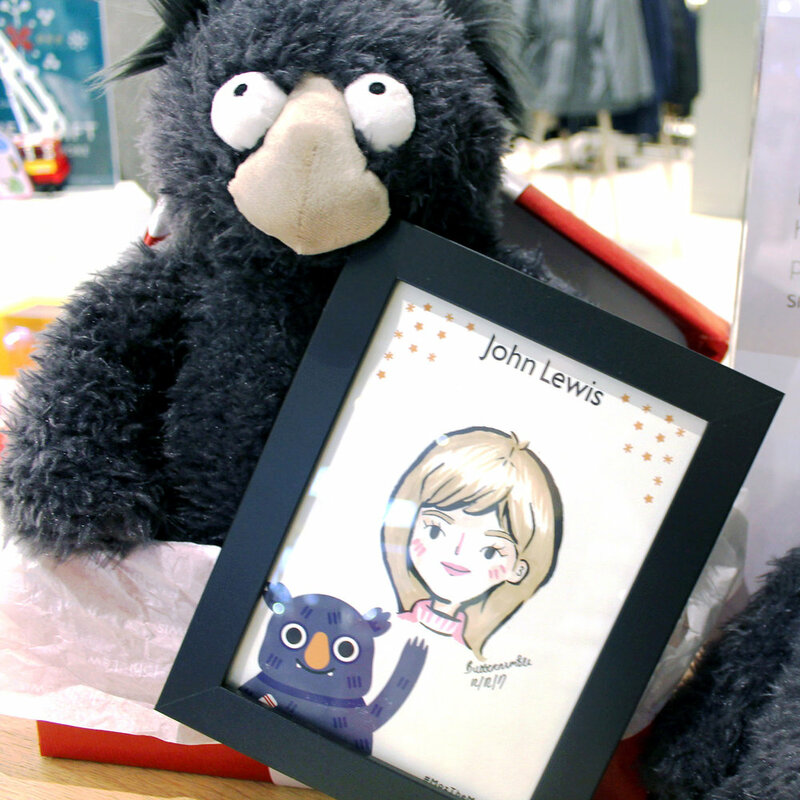 Customers truly treasured this special John Lewis Christmas gift. 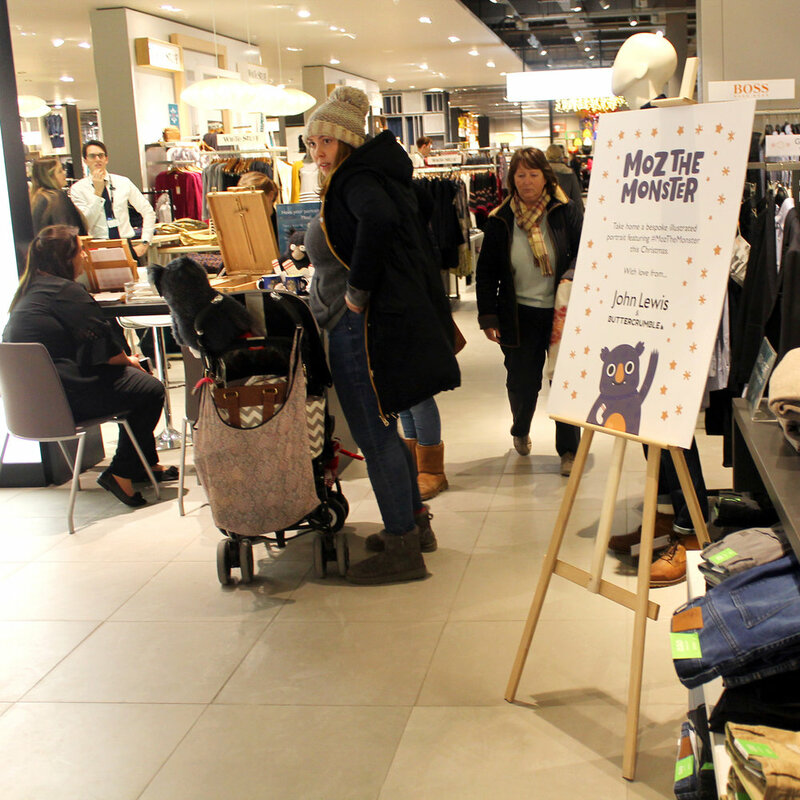 Whilst customers were illustrated, we asked participants to write their Christmas wish on Moz’s "spare socks". 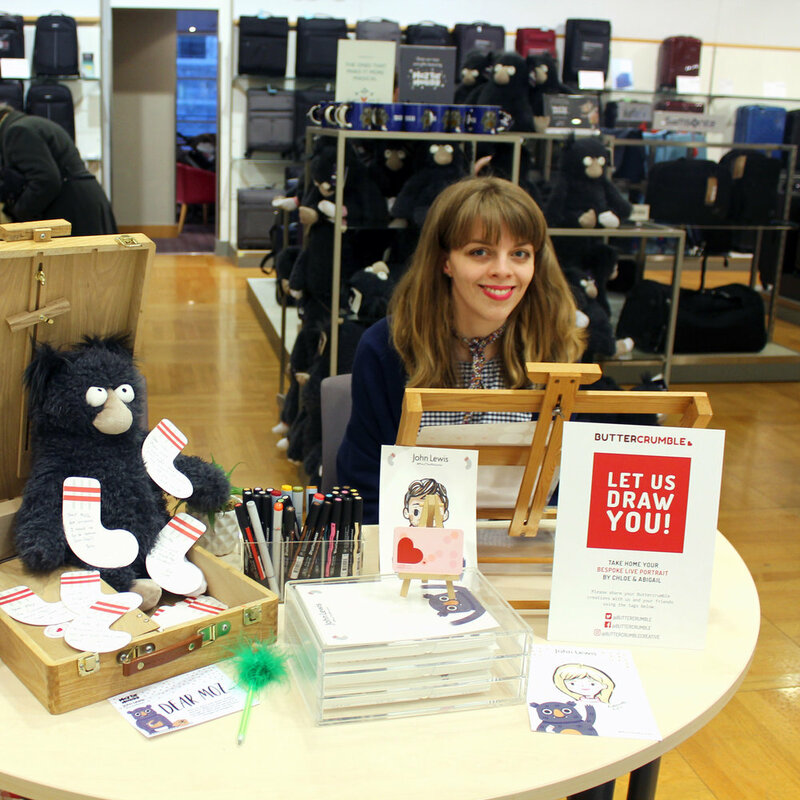 These socks were taken to each store and displayed at the illustration station alongside Moz. This activity kept younger customers engaged and entertained whilst waiting for their portrait. It also added festive magic to the experience. 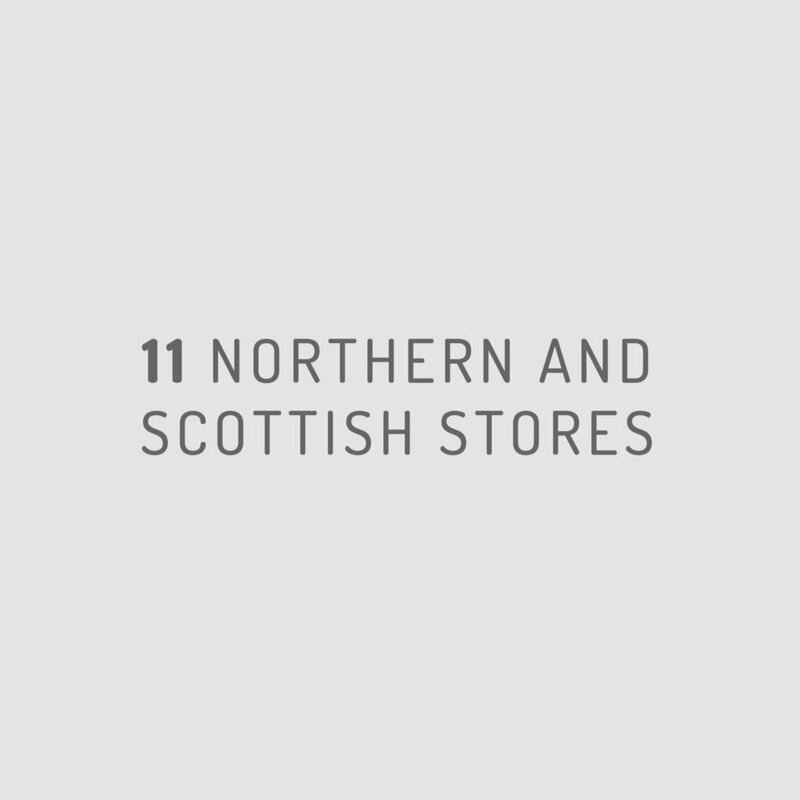 These included: Leeds, York, Sheffield, Liverpool, Chester, Cheadle, Trafford, Newcastle upon Tyne, Edinburgh, Aberdeen and Glasgow. 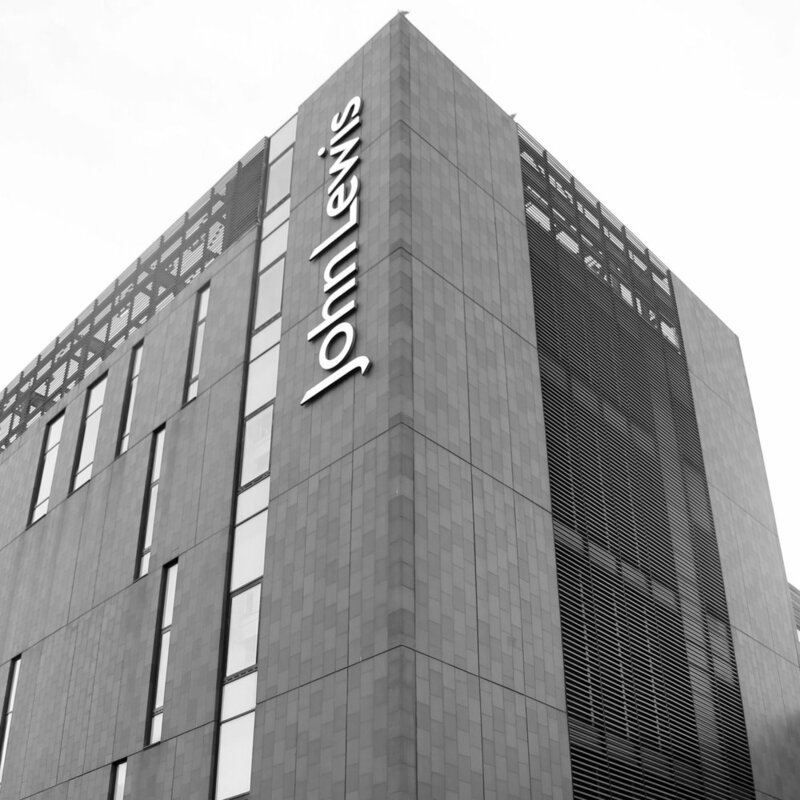 During the tour, we visited 11 different northern and Scottish John Lewis stores across the UK. This Moz the Monster illustration experience made an excellent talking point amongst customers, with many sharing their images on Facebook, Twitter and Instagram. 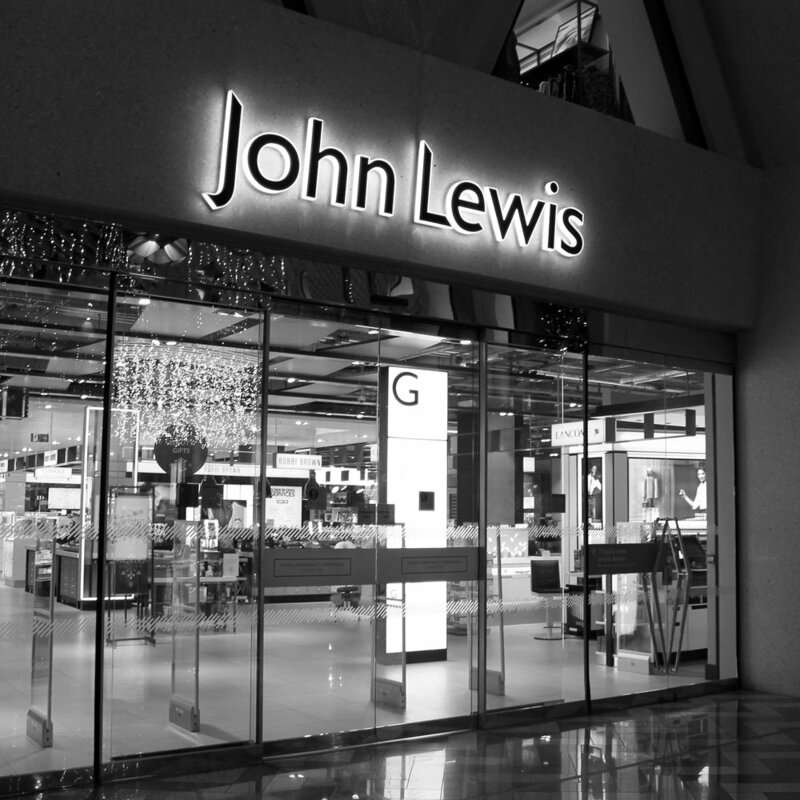 This elevated John Lewis' brand awareness and placed them in the hearts and minds of their customers who matter. Advert campaign by Adam & Eve/DDB.